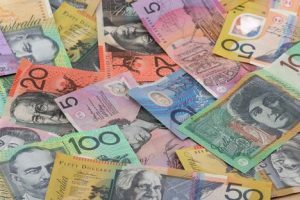 NEW YORK (Forex News Now) – The Australian dollar dropped against its U.S. counterpart on Wednesday, after official data showed that total hourly rates of pay in Australia rose slightly less than forecast in the second quarter. In European morning currency trading, AUD/USD struck 0.9015, down 0.42 percent on the day. The Australian Bureau of Statistics said its Wage Price Index, which excludes bonuses, rose 0.8 percent during the quarter from a quarter earlier, after growth of 0.9 percent in the January-March period. Analysts had expected an increase of 0.9 percent in the second quarter, two major forex news outlets reported. According to forex analysis, AUD/USD was likely to touch immediate support around the Monday’s low, 0.8859, and encounter resistance around the high of Aug. 6, 0.9221. The Aussie’s losses also came after a raft of generally encouraging economic reports from the United States. On Tuesday, the U.S. posted upbeat data on industrial production and capacity utilization, as well as solid reports on the housing market. Elsewhere, the Australian dollar fell versus the yen: AUD/JPY traded at 77.04, down 0.5 percent.